Have you always wanted to see the NYC skyline but without the crowds and traffic? Now you can as you cruise past the sights of New York Harbor. 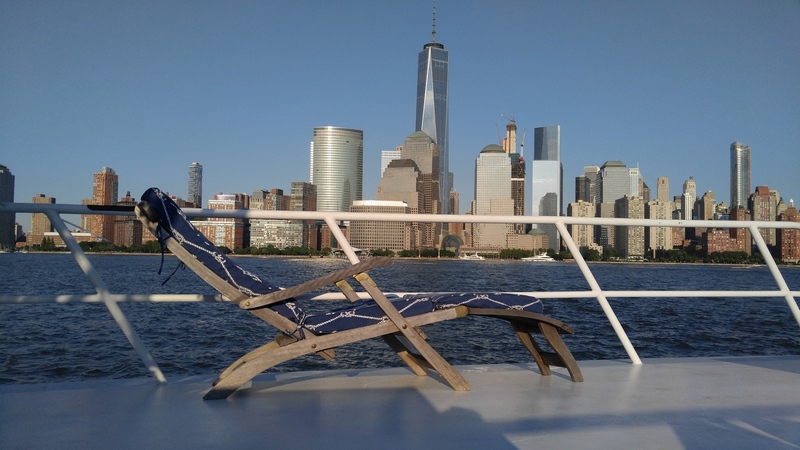 Join the Singer family on their custom charter out of Liberty State Park (easy to get to, easy to park). We limit our tour to 6 passengers with a personalized ride past the Statue of Liberty, Ellis Island, Freedom Tower and more. Captain Andrew Singer (SSCS Graduate; class of 2009), Betty and Jack are here to make your charter the most amazing and enjoyable boat ride you will ever experience. 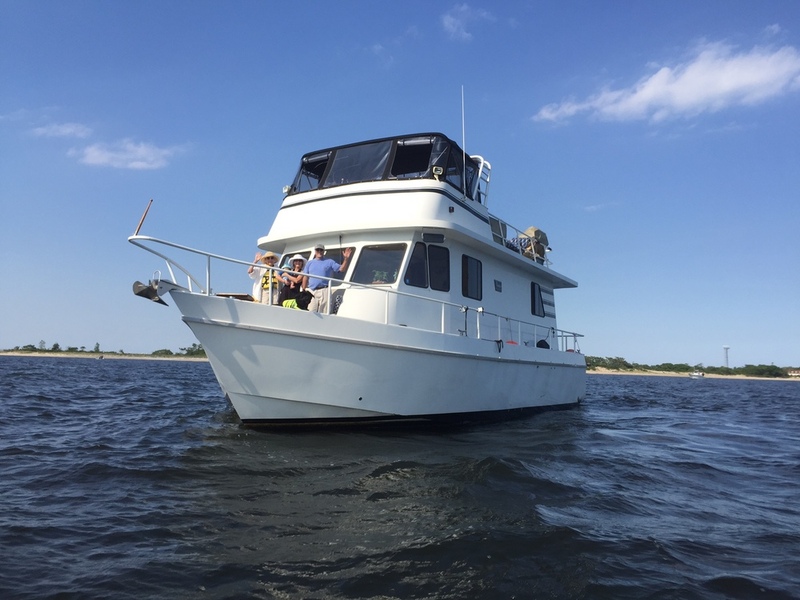 Summer Solstice is a 47′ custom made trawler. Her comfortable interiors and open top deck make her the perfect vessel to explore the sights of NYC. She is complete with cushioned seating on the bow as well as on the top deck. Her fully functional bathroom, full-size fridge, and indoor/outdoor seating make it so that you won’t have to abandon the comforts of land while seeing NYC from a new perspective. Typical tours last 2-3 hours but can be customized if desired. Consider us for anniversaries, engagements, and wedding photos. Ask about our local discount! 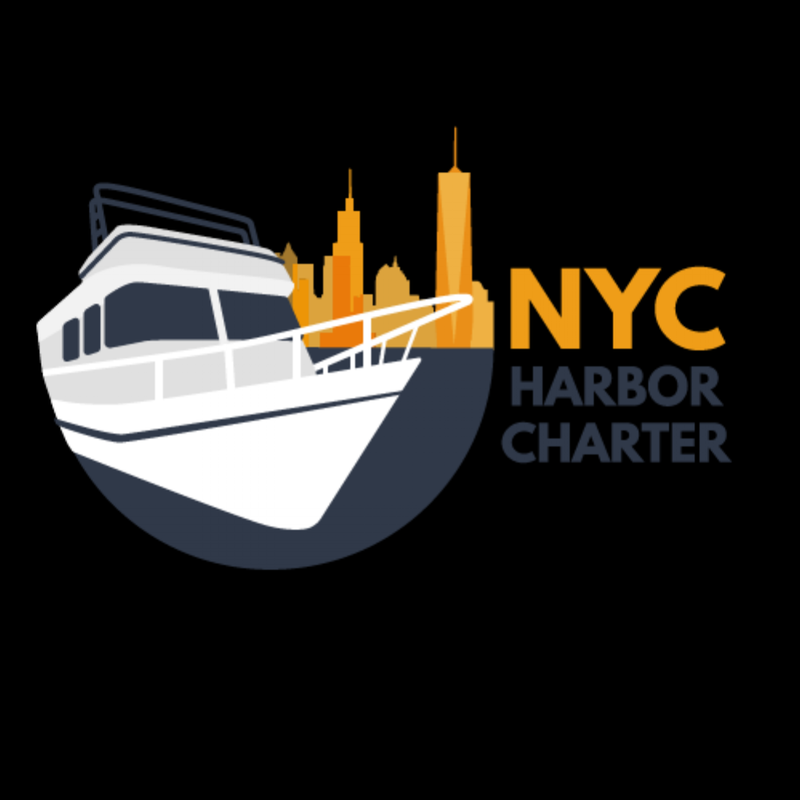 NYC Harbor Charter is a family owned and operated business. 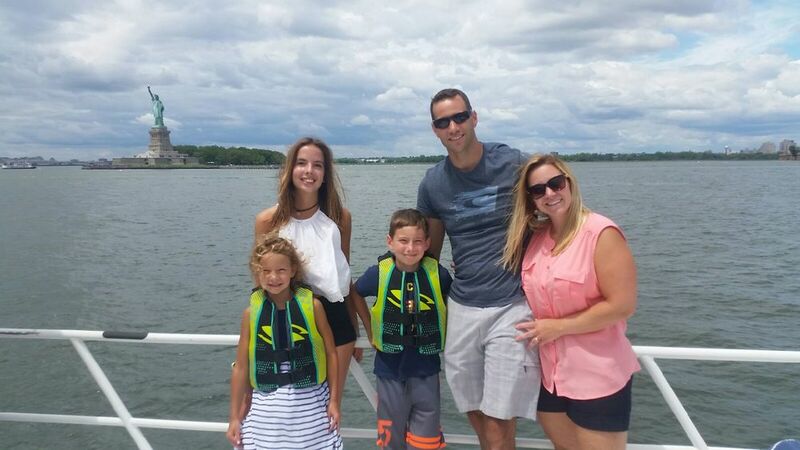 Boating has always been a part of our family life and it is our goal to share our passion and enthusiasm for cruising the NYC Harbor. Don’t just take our word for it, see for yourself! Studio North is temporarily located at the Sharon Springs Library on Rt. 10 at 127 Main St. in Sharon Springs, NY.